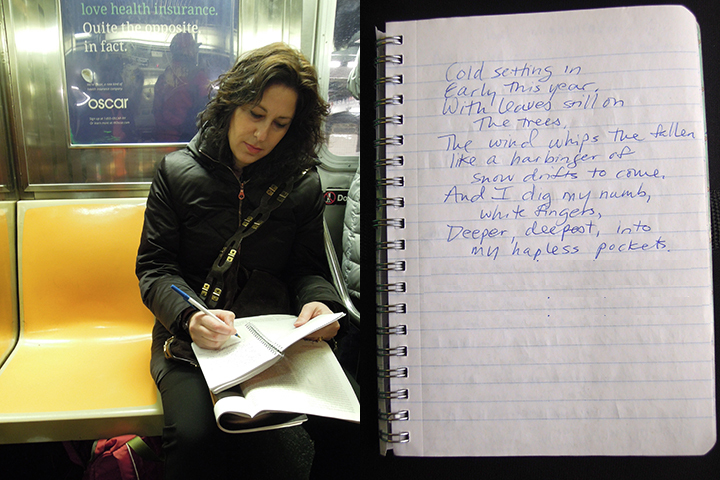 I would love if one day I were able to (factually) say: Dayna L. The Awkward Walk: Cooper R.
“…every time I ride the subway I ask a stranger to write a poem.” I made the pitch to the woman sitting in front of me. “But I’m not a stranger. I’m Eddie’s wife.” Oops. I broke the rules and asked her to write. That was a while ago. Now I consider the rules in flux. Read a poem by Dayna L.